ksny. // behind. the. curtain. - bitte.und.danke. 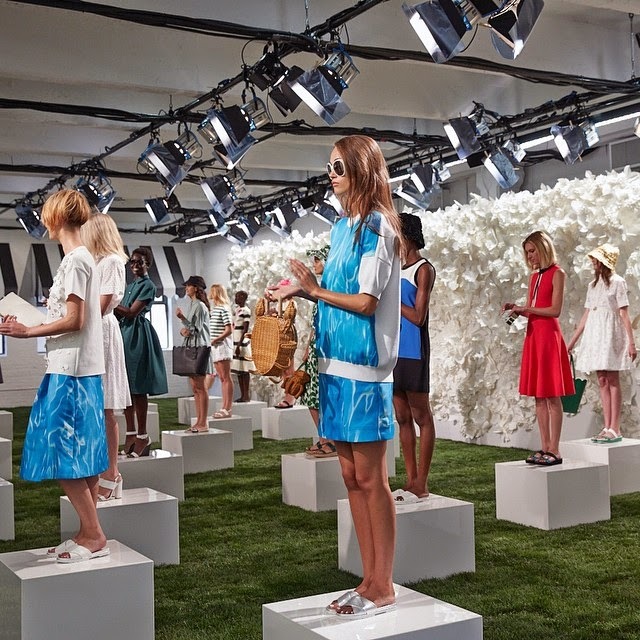 For fashion girls everywhere, NYFW is everything! But, you didn’t need me to tell you that… Between all of the September issues that I’m still trying to get through and the start of the new school year (i.e. readings on readings), I haven’t been able to follow along with fashion week as closely as I would’ve liked. 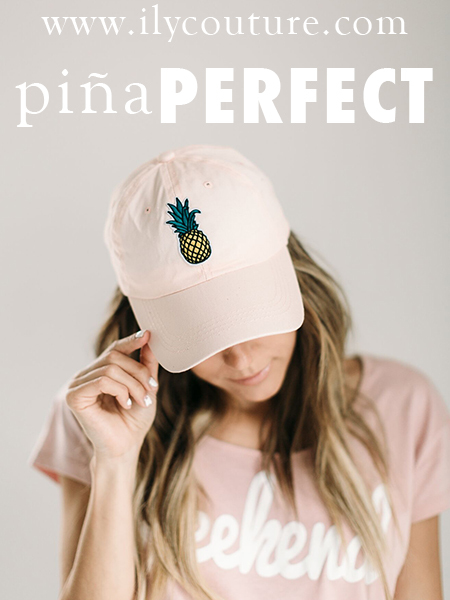 All I can say is thank goodness for Instagram – that’s pretty much been my go-to source for previews of all the collections. Until I can sit down and watch all the runway videos from start to finish, Instagram’s 15-second snippets of the final runway walk will just have to do. 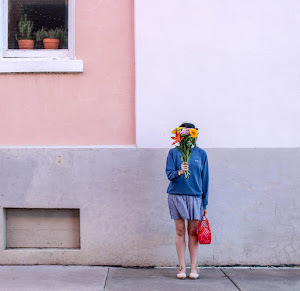 @carly // Swooning over that scalloped bag! 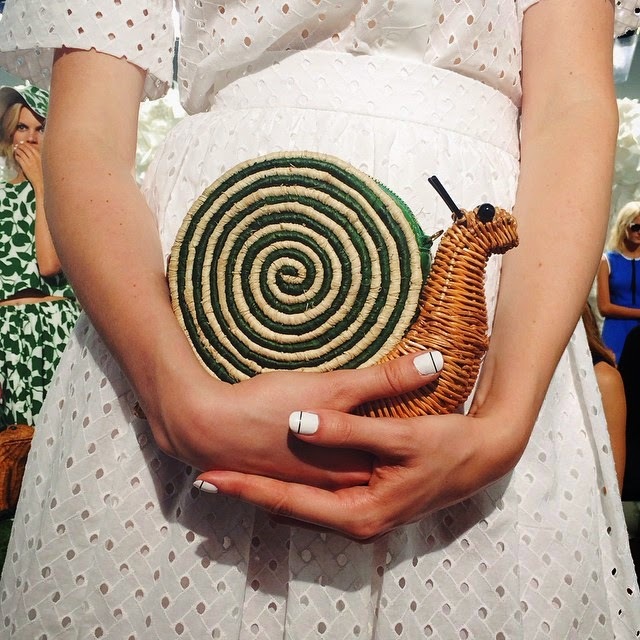 @mackenziehoran // Quirky accessories + minimalist nails. 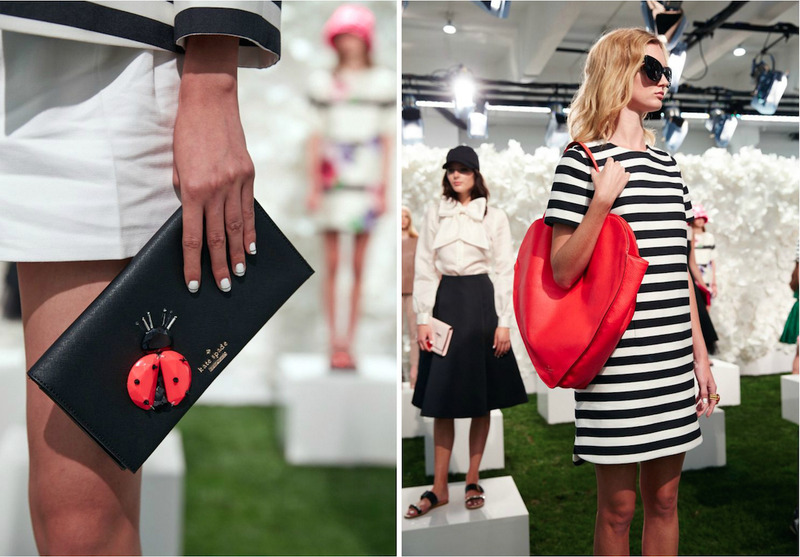 @katespadeny // THAT ladybug wallet + b&w stripes. 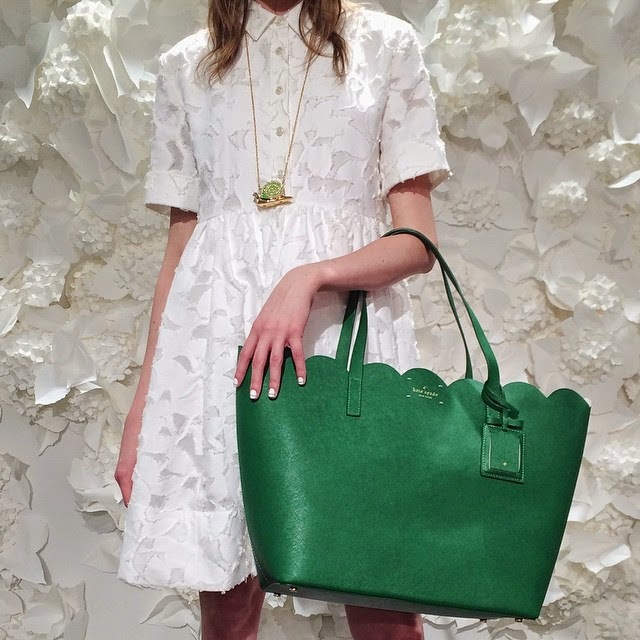 Besides Kate Spade, what have been your favorite #NYFW collections/trends/looks so far? Leave a comment below!